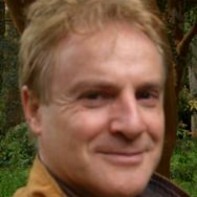 A founding member of Direct Democracy Ireland (DDI), Raymond Whitehead is a photographer by trade. His career has been varied, having been a restaurant and night club owner, an athlete, a teacher of Transcendental Meditation and the Science of Creative Intelligence, an interior designer and an Antique dealer. Raymond plays the Bodhran with traditional Irish bands from time to time.